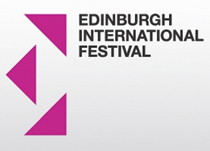 Ghost Patrol by Stuart MacRae receives its world premiere this summer at the Edinburgh International Festival. Commissioned jointly by Scottish Opera and Music Theatre Wales, the work will tour later this year and receive it’s London premiere at the Royal Opera House, Linbury Studio, in September. Ex-army comrades Sam and Alasdair are unexpectedly reunited after three years separation. Their meeting reignites a bond forged from danger, privation and a shared secret, which if revealed, could expose both of them to disgrace and prosecution. The need to keep their secret pulls the men together, but their differing responses to the shame of it threatens to pull them apart. Jealousy over Vicki, Alasdair’s girlfriend with whom Sam shares a mutual attraction, also jeopardizes the men’s equanimity. Sam is flesh and blood, but he’s also a ghost from the past who upsets the balance of Alasdair and Vicki’s lives. The consequences are deadly. For this opera, MacRae works once more with crime novelist Louise Welsh (Welsh having written the libretto for his previous short opera Remembrance Day). It is directed by Matthew Richardson. For more information and tickets for the premiere performances, please click here.